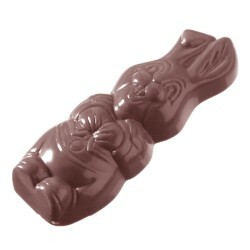 With the chocolate moulds from Chocolate World you can make beautiful chocolate Easter bunnies. 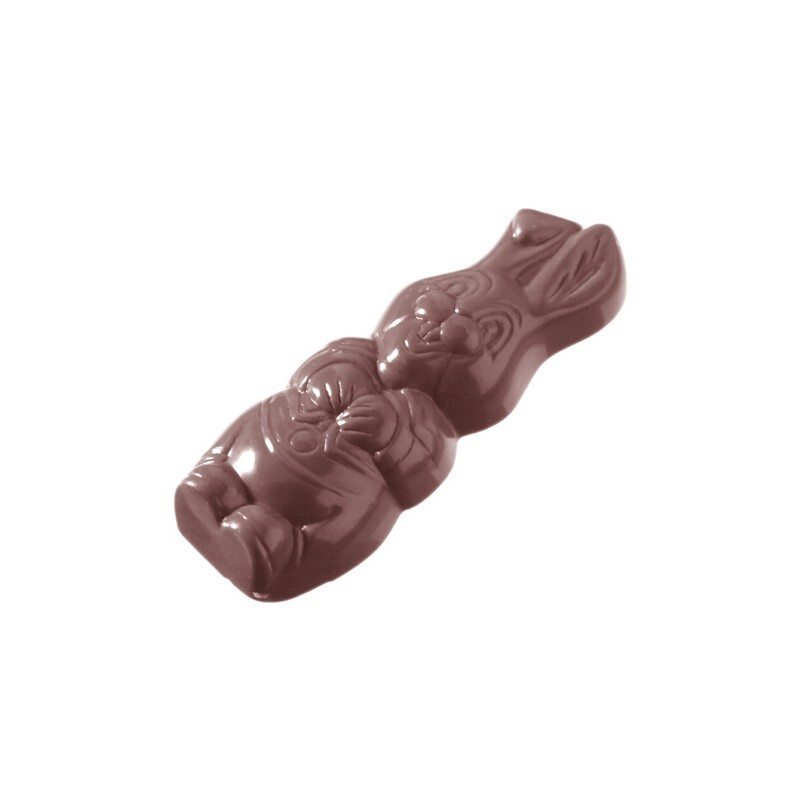 The transparent professional chocolate molds are made of 100% recycled polycarbonate. The hard moulds are easy to hold and have an easy release. Only wash the mould in hot water and let it dry. Size complete mould: 27,5 x 13,1 x 2,6 cm. 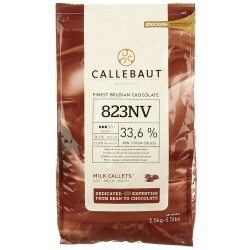 Size chocolate: 6,7 x 2,5 x 1 cm. With this mold you can make 16 chocolates at once.